If you’re looking for the perfect gift for the motor head on your Christmas shopping list, then here at College Chevrolet Buick, we’ve got you covered. Check out these wonderful gifts for car lovers and call your holiday shopping done. This is a perfect gift for car lovers, no matter their age. This incredible scale model is a great way to help the car enthusiast in your family learn about how an engine is assembled and how it operates. Plus, it’ll look great on display, whether on the toy shelf or office desk. Looking for a great, inexpensive stocking-stuffer for the gearhead on your shopping list? Check out these super stylish Speedometer Cufflinks. They look great and are sure to be a big hit for their looks and the automotive details they’ll add to your car lover’s wardrobe. Every good mechanic knows you can’t get very far without a high-performance flashlight. This great gift features a powerful LED flashlight and also a UV light that is perfect for diagnosing oil leaks. Don’t fret if you don’t know anything about cars but need to shop for a car enthusiast—any of these gifts are sure to be a hit. If you’re one of the millions of Americans who takes part in the frenzy of Black Friday shopping every year, you know how stressful this high holy day of gift-buying and bargain-hunting can be. Luckily, there is a way to actually enjoy (yes, enjoy,) your experience without missing out on the hottest deals — just follow these few easy Black Friday shopping tips! Thanks to smart devices, you can search for the lowest price on an item right there in the store. One way to do this is with the Amazon app, which lets you scan the barcode right then and there. No matter what you use, though, if it’s cheaper online, put it back on the shelf and add it to your online shopping cart! You’re trying to wrangle up fire-sale deals, not children, so leave the kids at home with a trusty sitter, but take along a shopping buddy. Whether it’s holding your place in line while you grab that one last item or just helping you decide which striped silk tie to go with, a friend is always a good idea on Black Friday. Black Friday isn’t just a single-day sale anymore. All week long, you’ll find a wide range of deals at all sorts of retailers, so hit up the shops on Wednesday, especially for hot-ticket items that might be hard to find come Friday. The most important Black Friday shopping tip, though, is not to leave home without a vehicle you can trust! At College Chevrolet Buick, we have a huge selection of cars, trucks, and SUVs, and a superior service departments, so visit us today to find your perfect ride or have your current one checked out. Holidays are stressful to begin with, and travelling tends to exacerbate the situation. That’s why we’ve put together a list of holiday travel tips, specifically those that’ll help you stay relaxed on your trip. Whether you fly, drive, or take a train or bus, there’s tips any traveler can appreciate. To being with, ignore your instincts and pack light. According to The New York Times, you should avoid packing your vehicle to the brim if possible. If flying, ship your gifts in advance—don’t let them be ripped open by TSA agents. 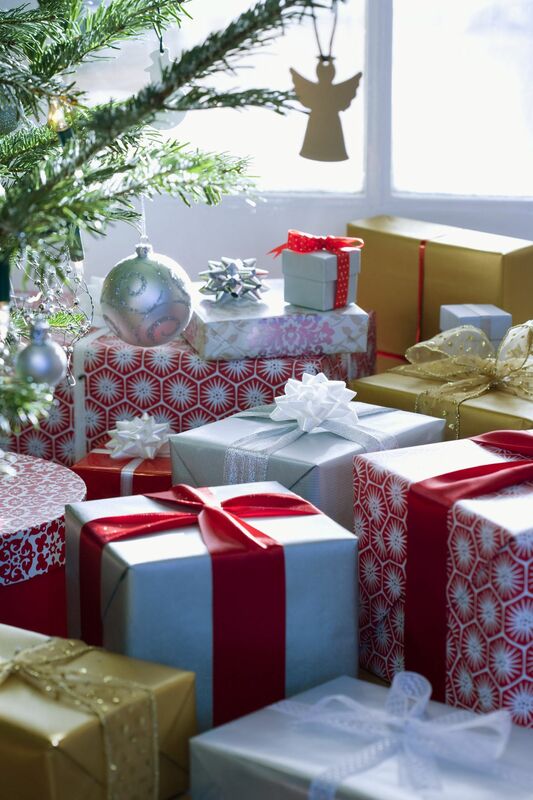 “I’ve seen instances when TSAs had to rip open beautifully wrapped gifts, which is not a fun way to start off a holiday,” David Solomito, the vice president of marketing at the travel search engine Kayak, has said. Solomito also notes that the best day to travel is—believe it or not—the actual holiday itself. You’re statistically likely to find fewer crowds, less traffic, and better airfare on Christmas Day, than, say, a day or two before. If you can avoid flying or driving home before the actual holiday, you could have a much more enjoyable trip. Finally, take the direct route. For drivers, this is more obvious. However, if you choose to fly, you might consider spending a little extra for fewer layovers. Connections will drastically increase stress, especially because holiday flights are prone to delays and overbooking. Unless you save hundreds of dollars, it might be worth it to take the shortest route.